Data Centre World is a key datacentre event held in London and attracts visitors from across Europe and beyond. Here are key takeaways, product news, case study and standards update from the event. In his presentation, Giorgio Nebuloni, IT Market Analyst at IDC, stated that European data centre server and physical hardware spend is flat, whereas as the volume of storage grows, since consumers demand always on connectivity, the spend in server virtualisation is also increasing. While most European datacentres have consolidated and virtualised, they have not optimised and automated enough processes. With the changing datacentre requirements, network managers are focusing on managing and provisioning, rather than innovating, with only 11.2% of European data center managers innovating. In a time with the trends such as cloud, big data and BYOD dominate, this seems alarming. He believes that existing data centre environments which are managed in the main manually, are unsustainable, especially as the number of virtual machines grows. He sees new integrated systems comprising of integrated infrastructures or integrated platforms driving change in data centres. The benefits of integrated systems are improved server and storage utilisation and better disaster recovery as well as lower TCO. These benefits are manifesting themselves quickly, while organisational change is being adopted slower, as ease of management and staff efficiencies lag behind. Throughout the presentations our team attended, there was a feeling of unstoppable change as the amount of data that employees want to access grows. The pursuit of high-speed data transmission was the major driver affecting the IT environment, it seemed even more so than managing any negative environmental impact. Organisations are upgrading networking equipment to support huge capacity demands, and this development brings a new set of challenges including: how do the network and its equipment, such as servers, communicate with each other? Our company, RiT Technologies , highlighted the PatchView+ IIM solution (Intelligent infrastructure Management). PatchView+ offers a real managed solution for mixed interconnect and cross-connect topologies, and will support the industry’s highest data transfer rates, reaching 10 Gbps, or 40/100 Gbps in fiber environments. PatchView+ is already being implemented to reduce volume, energy and space, while providing critical new functionalities. We developed our PatchView+ IIM solution as a direct response to demand from our customers, for managed solutions that support the emerging inter-connect and more traditional cross-connect markets. The first in our roadmap of flexible, cost-effective solutions, PatchView+ enables operators to combine both topologies and cabling options onto one platform, eliminating the need to choose between different systems. At the show, we also highlighted our DCIM solution, CenterMind, which provides a comprehensive view of the data centre, including variables such as physical infrastructure, power and environment. CenterMind provides a state-of-the-art engine for automating work planning and execution, which optimizes asset utilization, cuts down on maintenance work, and helps maximize uptime. I represent RiT Technologies on the TIA and ISO IC standards committees, and predict that by early 2015 new standards will be introduced for IIM systems. The international ISO IC standard defines the requirements and recommendations for IIM systems, explains how they contribute to operational efficiency, and presents a framework for data exchange allowing integration with other systems. The US TIA standard will cover the security aspects of an IIM system. Once adopted by IIM vendors, I believe the standards will be adopted by datacentres within the next three years. In my presentation, I stated that data centre managers are taking a “SWAT-team” rather than a comprehensive approach to the rapid transition to cloud computing and virtualisation. They are switching to a flat architecture only for their most performance-critical applications, while leaving many tried and tested elements intact. As network topologies move from hierarchical to flat structures and are more dynamic and interconnected, IIM needs to offer a flexible solution to manage the various dynamic network aspects. The IIM systems deployed at most data centers cannot be used for both new and old networks – either because they are vendor-specific, and so cannot be used with new equipment, or because they are not “smart” enough to handle both inter-connect and cross-connect topologies. 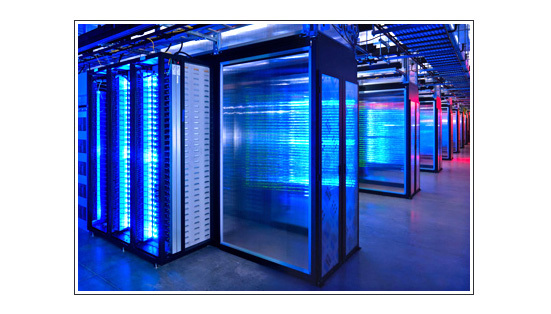 As soon as the homogeneity of the equipment within the data center is lost, the effectiveness of existing IIM systems is compromised, and the IT staff must return to antiquated manual methods of documenting connectivity and tracking errors. The future of IIM is clear: data center and network operators need advanced and cost-effective IIM systems to effectively manage all the components of the network infrastructure. From large to small-ticket items, no matter how complex or expansive the network, the most advanced IIMs will automate all daily operations, optimise network performance, and save on IT assets, power and management overhead. I also presented the RiT Technologies PatchView+ IIM implementation at The Weizmann Institute of Science in Israel. (The full press release is below) PatchView+ has been deployed in a dense inter-connect network environment, which reflects many of the new data centre builds today. Deployed as part of the Institute’s network upgrade program, PatchView+ manages the Insitute’s physical infrastructure, enhances network security, streamlines maintenance and improves network utilisation. PatchView+ is used to optimise the Institute’s physical infrastructure, for automating billing and the provisioning processes; and for cutting down maintenance overhead. The combination of these benefits translates into a more efficient and effective network environment, where the Institute’s team can now track the actual usage of the network and eliminate time consuming manual work procedures. PatchView+ enables network and data centers to automatically manage all components of the network infrastructure, no matter how large or complex. Uniquely identifying every piece of network equipment, PatchView+ builds a comprehensive database of the entire physical infrastructure and keeps it accurate in real-time. Combined with RiT’s CenterMind™ Software, PatchView+ provides managers with a comprehensive real-time of view of all assets; pinpointing visually and through reports and alerts the status of each and every device in each cabinet. PatchView+ enables IT personnel to monitor and control each device, conduct automated guided work orders, quickly identify points of failure in cases of downtime, and produce fully optimized provisioning for new equipment. PatchView+ can be deployed in both inter-connect, cross-connect or mixed topologies, on either copper or fiber infrastructure; and has been optimized for cost, performance and ease-of-use.